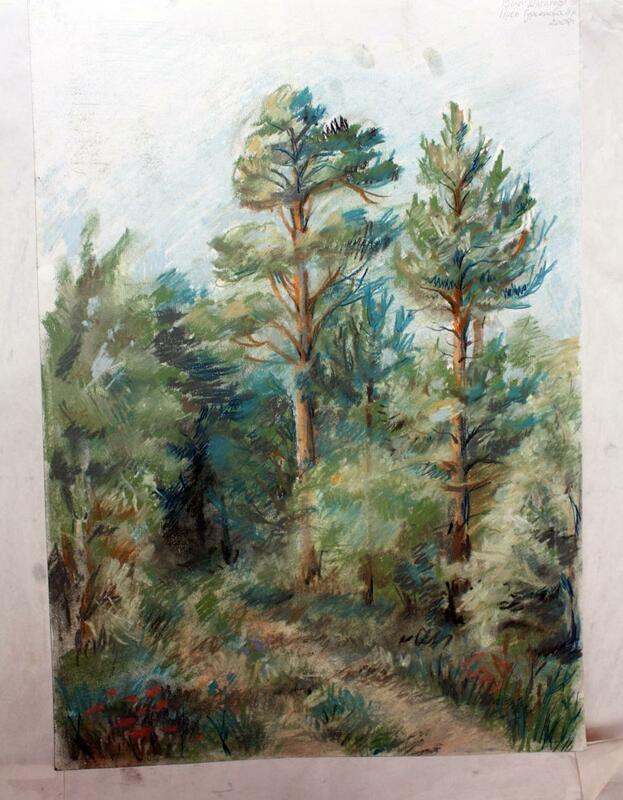 This is a drawing by an art student from Mstera, one of the four lacquer art villages in Russia (Palekh, Kholuy, Mstera and Fedoskino). As part of their training, hopeful lacquer miniature artists must complete a four year art school, where they hone their artistic skills in various mediums, such as this drawing in either chalk or pastels. This was part of an assignment for their training. We're pleased to be able to bring this unique and otherwise unseen part of the world of Russian lacquer miniature art to collectors and art lovers around the world.